We set out from Trillium with a mission. 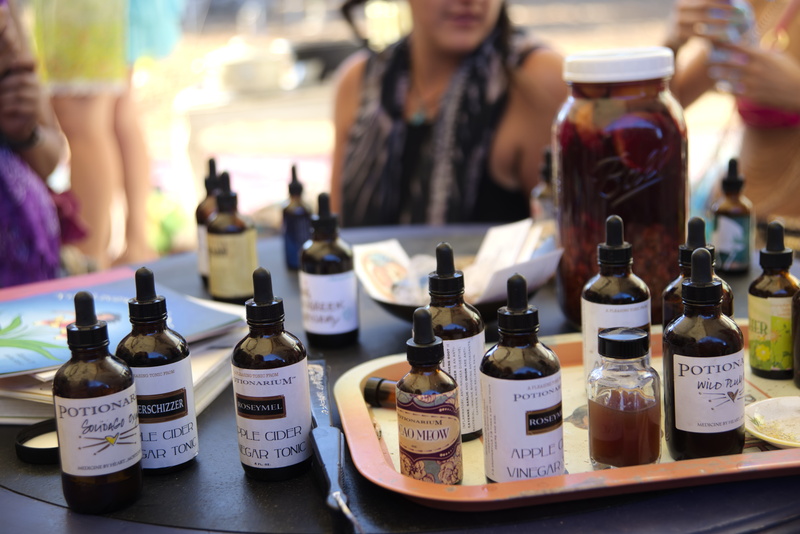 After a weekend of landwarming, of congratulating, of experiencing a shared vision as to the future of Lucid University at the new property in Southern Oregon, it was time to head down to Lightning in a Bottle. Our project: to examine The Compass, the festival’s new masthead for sacred space, workshops, and village building. As festival storytellers, Megan and I are drawn to intentional spaces: pockets within the larger festival where people are getting out of their comfort zone and into new ideas. 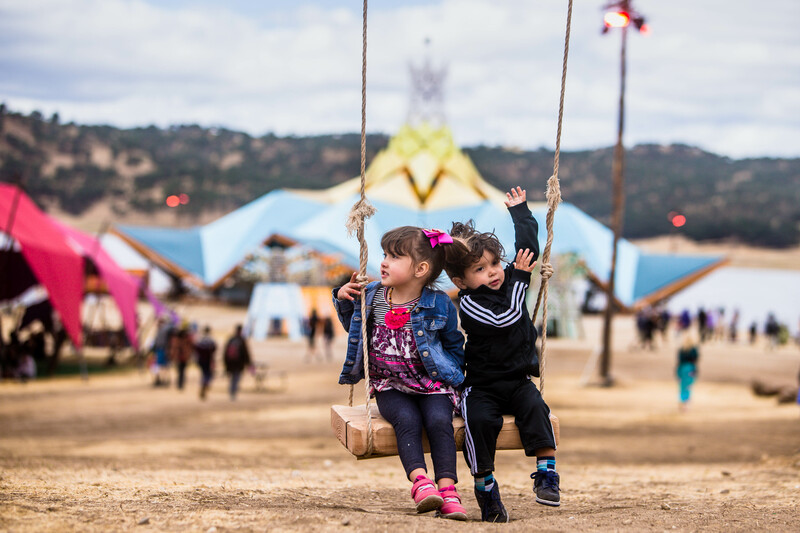 This year, more than in years past, Lightning in a Bottle has made changes to its leadership and direction, and we’re there to see where they’re hoping to point the community. The times, they are a changing. There were familiar elements for us. We weren’t the only partners and collaborators who made the trip directly from Trillium to LiB. 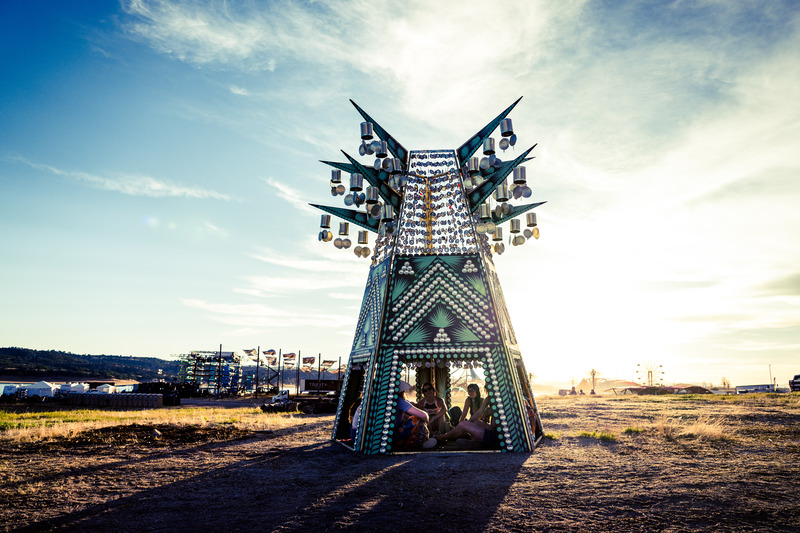 Scattered around The Compass were familiar faces that make up the backbone of the sacred container at festivals and gatherings throughout the West Coast. One of the most important stories we’re tracking is around cross-pollination between different festivals and initiatives. It boils down to two questions: what can we learn from each other and what can we share with each other? Lucidity is coming out of a state of tremendous growth and renewal. 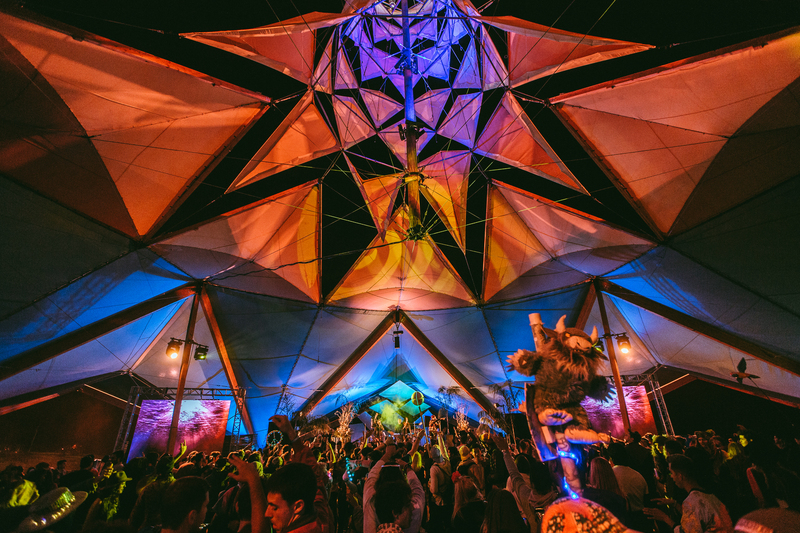 We could feel it in everything we’re doing: with last year’s theme of Eudaimonia, with the emergence of a new story arc, with the expansion of Lucid University. So we sat down with the Co-Directors of Compass, Isis Indriya and Eve Bradford (of Living Village Culture) who have produced The Village at LIB in years past. We wanted to hear both the top-down landscape and the long-term vision of the initiative. So there’s a moral imperative, of using this rare moment to engage in activism. And there’s a coming to that from a state of love and joy. How we gage success? What are the metrics? One of the primary metrics is engagement: how are people experiencing the space? Throughout the long weekend, nearly every program was very well-attended, with many standing room only talks and workshops scattered about the peninsula. And with such a cornucopia of programming, we saw many young festivalgoers get their first taste of a plethora of new ways of living. At any one moment on The Compass, no less than a dozen different engagements are simultaneously materializing. The clank of metal at a blacksmithing demonstration, the spinning wood of a fire-making class. 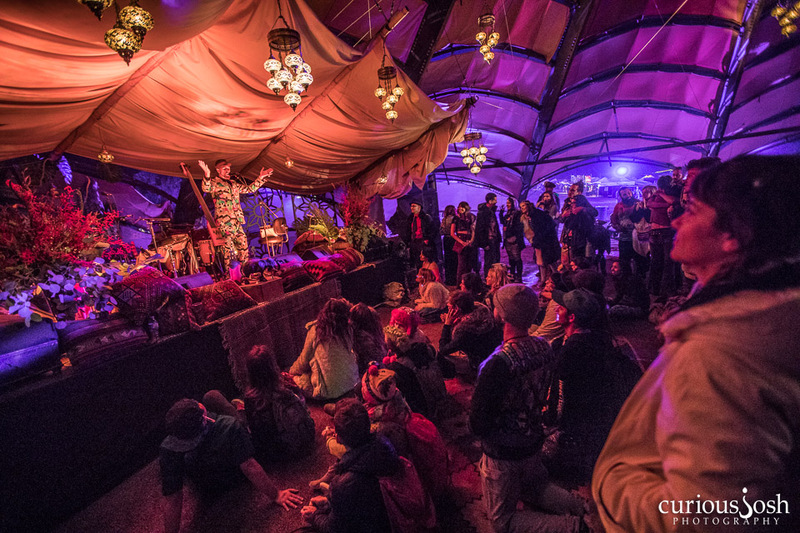 The crackle of two different fire pits, world music education at The Crossroads stage. The Compass HQ is buzzing and mead is flowing. There’s a podcast being recorded and vendors are selling wares from Peru and beyond. At The Learning Kitchen, there’s a pickle party while people make their own crispy cukes with vinegar, turmeric, salt, onions and garlic. A dance troupe practices its prayerformance, a yoga teacher checks in for her class. A keynote from Erica Wohldmann on Joanna Macy’s teachings at The Beacon, a stunning new structure. At night, The Beacon turn into a vibe-fueled dance party to the tunes of Ultimate Fantastic. A space called the Grid is lit up with entrepreneurial spirit. 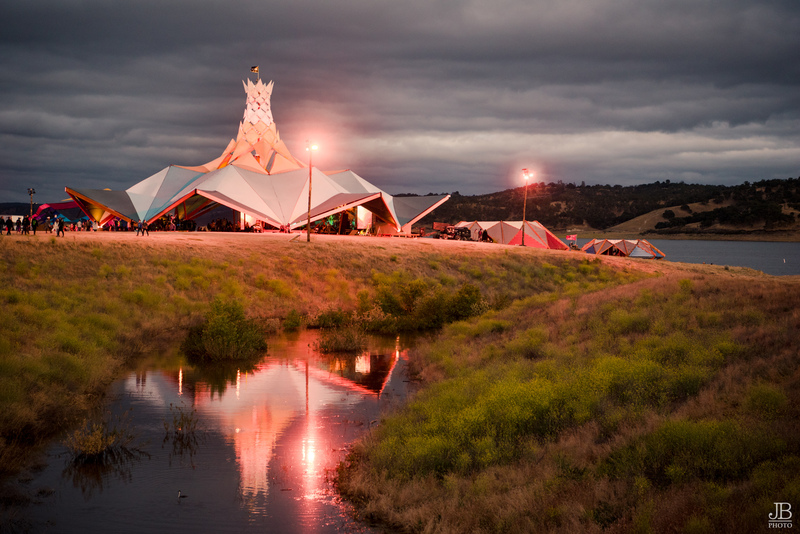 50 people are experience a collective sound bath, the gongs melting time and space. The sounds of a cacao ceremony float through the air. There’s a talk on radical honesty and a talk on minimalist lifestyles. Potions and teas are being brewed at The Witches Hut, at I.AM.LIFE and at Om Shan Tea with Ron Jon. At Nature’s N.E.S.T. on Meditation Mount, it’s sunset and 100 people are listening to a Shipibo elder discuss Ayahuasca, or meditating, or swinging on swings and hoops. Fractal Marks has a lounge there too, and six people are sitting, talking on top of a purple limo. Down by the water, healers are doing bodywork and energy healing. There were some challenges, though. For example, during Opening Ceremony, there was a lack of coming-togetherness. The choice to use a very small amplification system left many outside the sweet spot of being able to hear and connect with the experience. The ceremony started with the NO’s of the space: no drinking, no smoking, no cameras… And the healing zone, The Haven, was moved from its originally mapped location at the center of the space. It ended up hidden away behind The Beacon, unapproachable. In times like these, it’s important to put healing and ceremony front and center. It cannot be an afterthought. The Compass is a zone within a larger party, a sacred element in a larger whole. There is tremendous opportunity in the positive impact that can be made in these arenas. Its efficacy will ultimately be determined by its ability to effect the total mythology of Lightning in a Bottle. 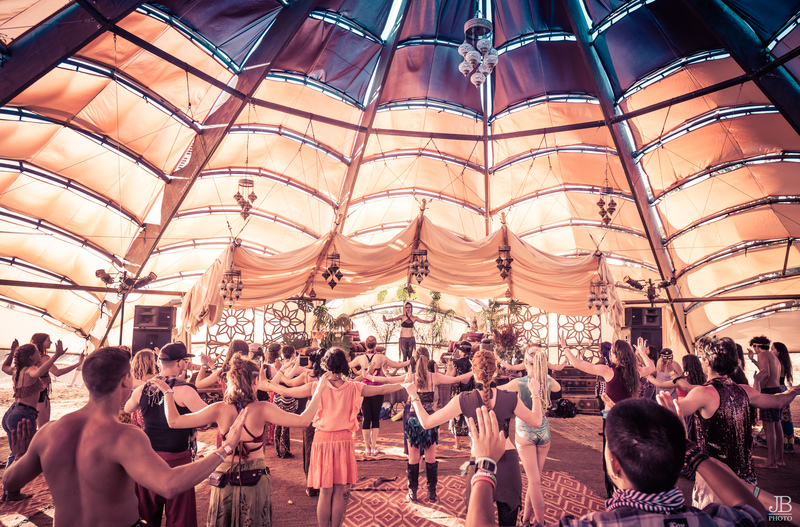 The Temple of Consciousness was instrumental in answering the question of, “why do we gather?” It seems that The Compass is a calling for mindfulness, and we’re excited to see what grows out of that essence.